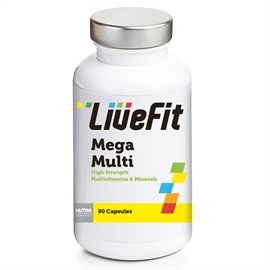 Livefit Mega Multi is a high strength, high quality multivitamin and mineral supplement that provides a complete balance of vitamins & minerals including Vitamin C, B Vitamins, Zinc and many more, for maximum utilisation and absorption by the body. Livefit Mega Multi is a complex blend of 45 vitamins, minerals and nutrients, designed to perfectly assist your diet. 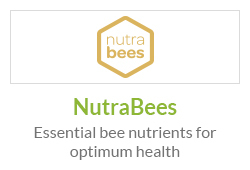 It has been carefully designed as the ultimate daily multivitamin, contributing to a balance of all the vitamins, minerals and nutrients your body uses in one multivitamin supplement. Mega Multi includes a host of nutrients including vitamins A, B1, B2, B3, B5, B6, B12 C, D3, E, K2 choline, bioflavonoids, PABA, biotin, folic acid, molybdenum, potassium, iron, zinc, lecithin, kelp, iodine, copper, manganese, alfalfa, l-glutamic, magnesium, selenium and chromium, among others. What Does Livefit Mega Multi Do? These are essential nutrients for the body because they perform hundreds of roles in the body. 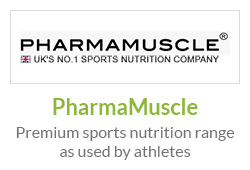 From maintaining bone strength & healing wounds, to strengthening the immune system. They even help convert food into energy, and repair cellular damage. Vitamins & Minerals are referred to as Micronutrients as they body only requires tiny amounts of each. Though vitamins & minerals are micronutrients, they differ in a few ways. Vitamins can be broken down by heat, air, or acid so cooking, storage and exposure to air can reduce their nutritional content. Minerals on the other hand maintain their chemical structure so they easily find their way into the body via plants, fish, animals, and fluids consumed. There are two types of vitamins – Water soluble and fat soluble. Build proteins and cells - metabolising amino acids and enabling cells to multiply. 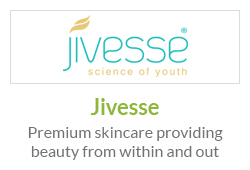 Make collagen which is the supporting structure of skin, blood vessels & connective tissues and forms a base for teeth and bones. Interact well together as without presence vitamin E, the body would have difficulty absorbing and storing vitamin A.
Zinc strengthens the immune response. Helping create enzymes that perform important functions or enhance their activity. Vitamins & minerals contain antioxidant compounds known as carotenoids and flavonoids. 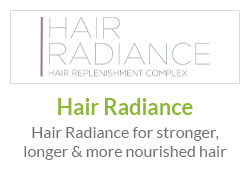 These help fight against free radical cell damage within the body. Healthy cells travel in pairs. Free radicals are essentially single rogue cells that destroy healthy ones. This can lead to chronic illness and disease. Antioxidants help stabilise free radicals by attaching themselves to a single cell, essentially make it a pair again and acting as a healthy cell. Vitamins and minerals are undoubtedly essential to health. 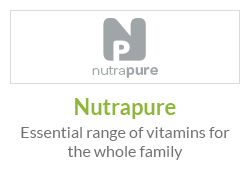 Therefore a daily multivitamin & mineral supplement is ideal if your diet is deficient in vitamins and minerals to help support optimal health. Is Livefit Mega Multi Right For Me? Mega Multi contains a wide array of vitamins, minerals and nutrients to help support numerous functions in the body. Multivitamins should not be seen as an alternative to a healthy balanced diet, but if your diet is deficient in some nutrients and you are experiencing any symptoms of inadequate nutrition such as tiredness & fatigue, muscular or joint pain, weak bones, dry skin or more, then Mega Multi may be beneficial for you. These articles relate to numerous nutrients that are contained within each Livefit Mega Multi capsule. Read more to gain a greater insight into the theory behind Mega Multi. Most of us suffer from one of these annoying, minor health niggles at some point, little realising that a lack of vitamins or minerals may be to blame. 'Diet and poor nutrition are often overlooked by health practitioners despite being related to everyday health complaints,' says Professor David Kennedy, psychobiologist at Northumbria University. When it comes to minor ailments there are lots of things you can do to help yourself. The point about vitamins and minerals, she says, is that these are better absorbed from food than from pills - although in some cases the amount of food you'd need to eat is absurd, so a supplement may be worth considering. This mineral is crucial for nerves transmitting messages to the muscles. But many of us are deficient, says Ursula Arens. 'Our diets tend not to be very magnesium-rich because foods such as fast food, fizzy drinks, crisps, biscuits and refined grains are very low in magnesium.' In addition, many of us consume a lot of milk and dairy products and these and other calcium-rich foods can lower magnesium levels’. Vitamin B12 plays an important role in health — for example it helps the brain and nervous system function, and is important for the formation of blood cells. It is also needed for the manufacture of myelin, the insulating material that surrounds certain nerve cells. A lack of vitamin B12 typically causes extreme fatigue, muscle weakness and problems with memory and concentration. It can also lead to temporary infertility in women, while a lack of it during pregnancy can result in foetal abnormalities. 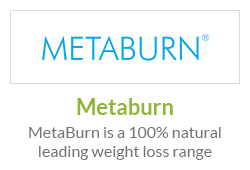 The nutrient is found in red meat, fish and dairy products and most people can get enough from diet. However up to 18 per cent of the population are deficient in it, with 80 per cent of these women, according to retired GP Dr Joseph Chandy, president of the B12 Deficiency Support Group, a figure he bases on anecdotal evidence. In fact diet is rarely a cause of a deficiency, explains Dr Premini Mahendra, a consultant haematologist at the Queen Elizabeth Hospital in Birmingham. That’s because the vitamin can be easily obtained from food sources — for instance 3oz (85g) of canned tuna provides around 2.4mcg. ‘Since it is found in red meat and dairy products, it tends to be vegetarians and vegans who are prone to dietary deficiency,’ she explains. More common is for a deficiency to arise from an inability to absorb the vitamin correctly. Simply getting older increases this risk because as we age, the stomach shrinks and produces less of the acid needed for B12 to be absorbed. Vitamin C is known to have a number of functions in the body, including an ability to kill several types of viruses. In addition, vitamin C can stimulate the immune system in a number of ways. These effects mean that, in theory, vitamin C should be able to help combat viral infections such as cold and flu. In fact, there is good scientific evidence which shows that relatively large doses of vitamin C (typically 1.5-4g per day, taken in divided doses) reduces the duration of the common cold by about a third. How, then, could it be that the recent study published in the Medical Journal of Australia (MJA) failed to show any benefit from vitamin C? 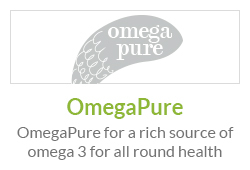 As a Food Supplement, take 1 to 3 capsules daily, or as directed by a healthcare professional. Suitable for vegetarians. Certified Kosher. What a great multivitamin this is! It contains 45 nutrients so if you were ever deficient in any of them, you won’t be once you start taking these. I take these for overall health. I feel much better in myself since I started taking them – just in my general health. I’m less tired and even my skin looks healthier too. I used to suffer with dull dry skin. I knew my diet wasn’t the best and I figured it was because of that, so I decided to take this multivitamin. 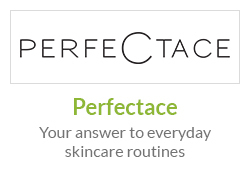 It has changed my overall health and skin for the better. I’m very happy with these capsules. I take these just in case I am lacking in any nutrients (after all, they contain so many nutrients I should have balanced levels now I’m taking them). Both my partner and I take these multivitamins and both of us agree we feel much better for it. It’s our general health that we notice more so – we simply feel ‘better’!